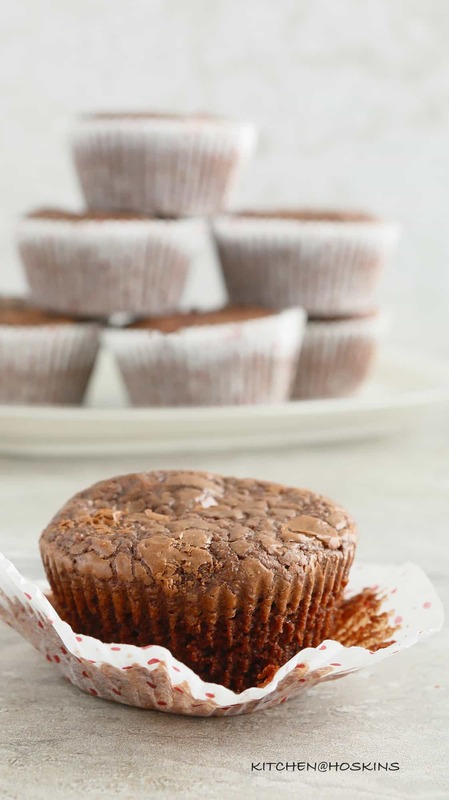 Moist, fudgy, oh-so-decandent, 4-ingredient Gluten free Nutella Brownie Muffins !!! 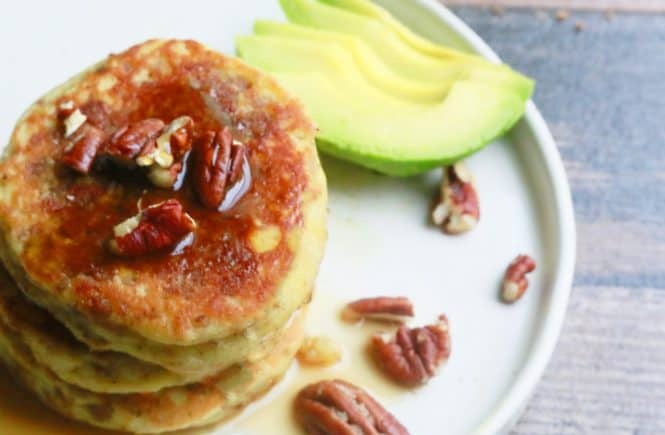 The simplest of recipes and is an absolute family favorite. Say bye, bye to your New year resolutions. Ultimate indulgence. Rich. Sinful. Fudgy, chewy and so so chocolate. It screams for a tall glass of milk. OR in your pjs for a midnight snack. OR packed in your kid’s school snack box. OR with a scoop of vanilla ice cream. Anything that involves a cup of Nutella is got to be good, right? 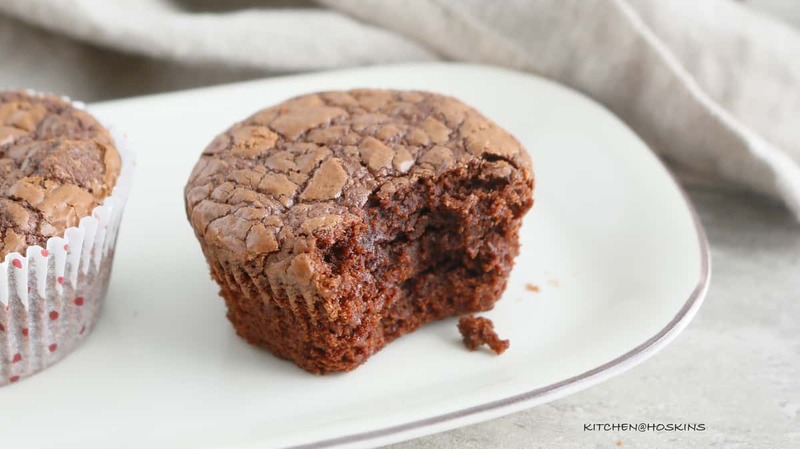 Aaand surprisingly, the easiest brownie/muffin that you will ever make! 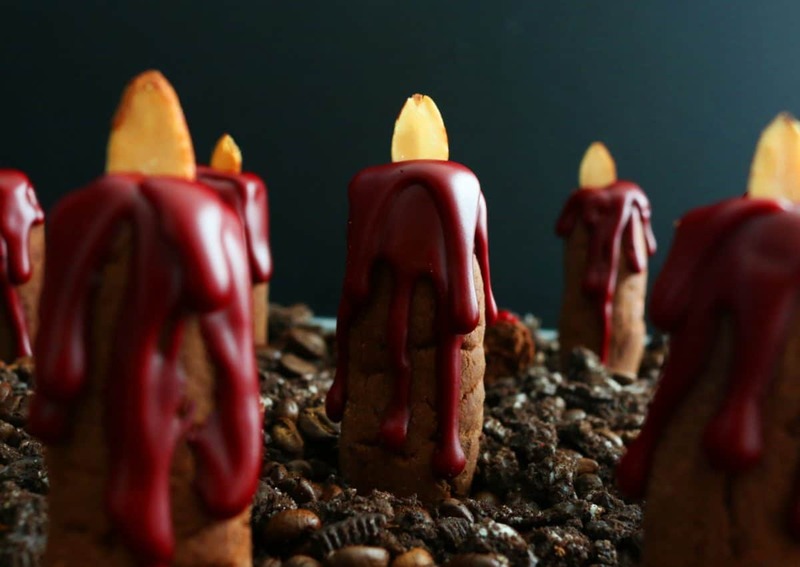 Great recipe even for little children. 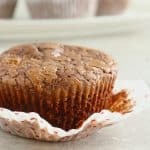 My kids love these Fudgy Nutella Brownies so much, that it is often requested for an after school treat with their milk. 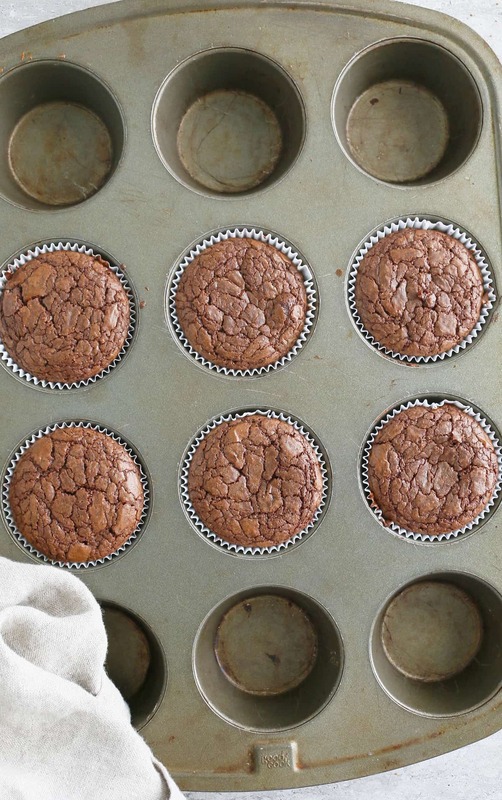 So, I had to make a muffin version <— don’t have to wait for an entire brownie to cool. 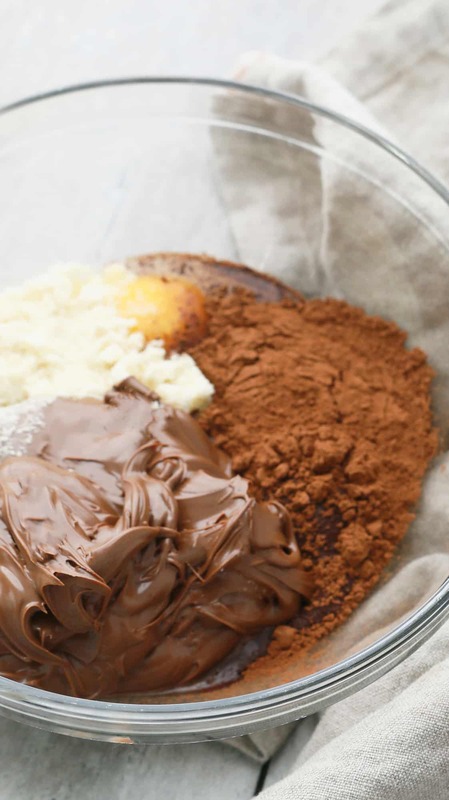 And, it involves 4 ingredients – Nutella, almond flour, eggs and cocoa powder. 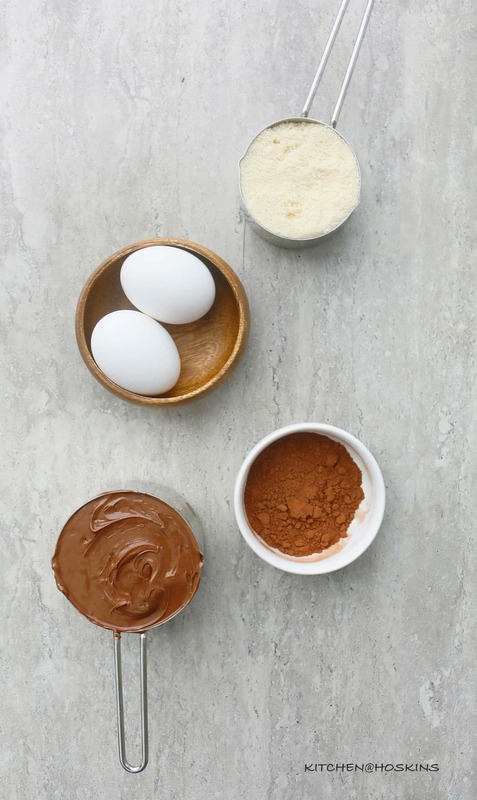 Nutella – The insanely delicious thing in the whole wide world. Quick tip – If you are using a new jar of Nutella then give it a good stir to redistribute the oils. 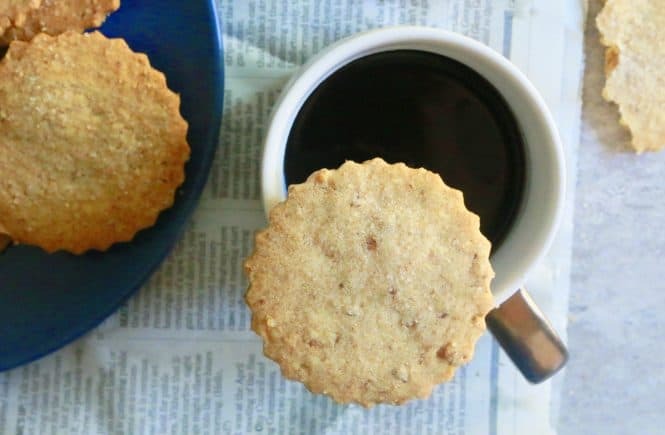 Almond flour – It is simply a fine powder of blanched almonds and is conveniently available in all major US grocery stores or Amazon. Use super fine variety. Eggs – Use large eggs. Room temperature eggs or straight from the refrigerator will work fine. 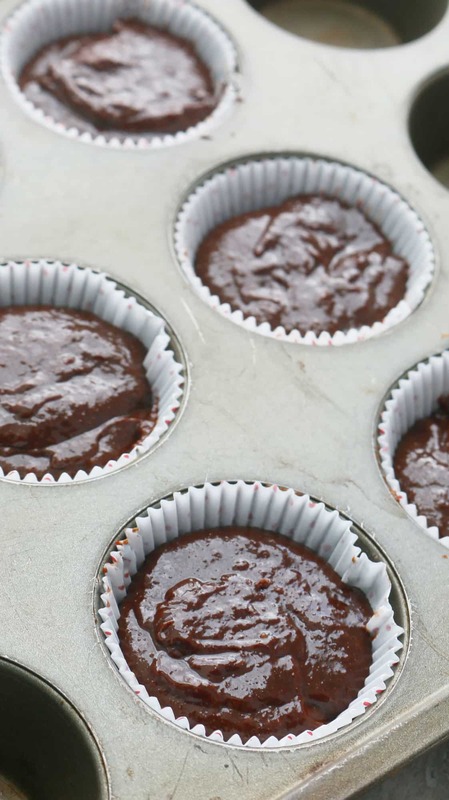 Cocoa powder – Dutch process or any type of baking cocoa works. 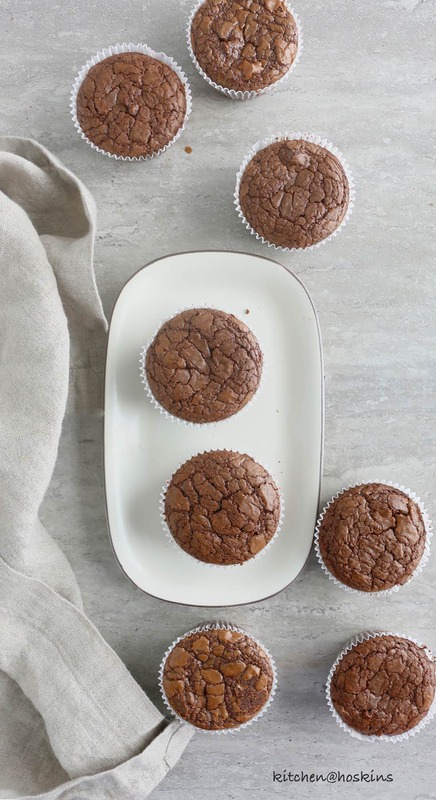 Check out this Whole Wheat Double Chocolate Avocado Muffins <— another winner. 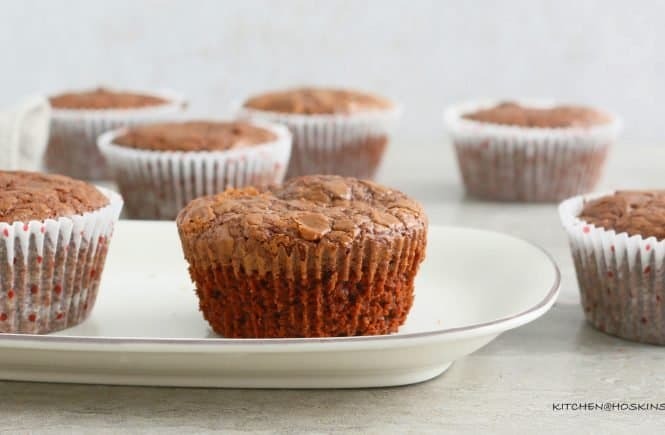 How to make Gluten Free Nutella Brownie Muffins? 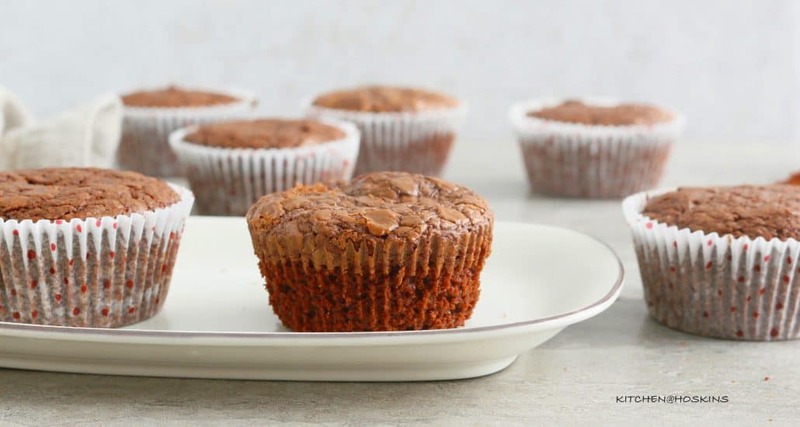 My favorite part is that half this recipe works very well to make just 3 muffins. You will totally love this Chocolate Chip Cookie Mug Cake <—- Really, really good.